It’s the very best facility in the whole region, it’s hard to get into it. Zhenya managed to get Seryozha admitted only with great difficulty. That was the best option at the time. 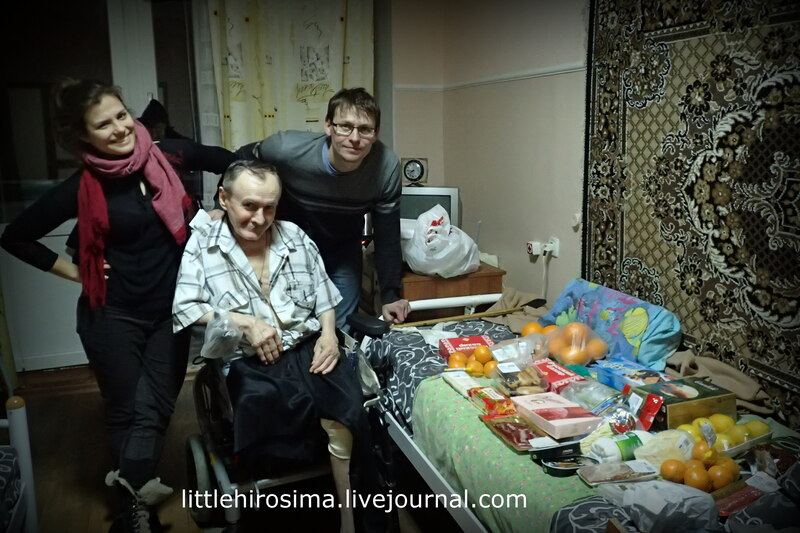 When Seryozha had his leg amputated and couldn’t live in Khryashchevatoye in a barack, without a house that was bombed in 2014. Even today it’s still the best option for those who have lost their independence. And who have no assistants or close friends who could help. Seryozha doesn’t have such people. And he’s still quite young. I wrote many times he is sad. I had so many plans for him. Like having him teach at a college for the disabled. Or perhaps get him into a dorm where there are more young people. He has a youthful, lively mind, he instantly grasps everything. And he has stories to tell. I thought about many things, but did not manage to make them happen. But it’s not all sadness. Seryozha has a tablet which was donated by Evgeniya Birman, and he uses it with skill. We got him internet, and now he has a pile of films and music. He also communicates with us all the time using VoIP. Sends videos, photos, memes, asks how things are. Sends jokes. There is contact, even if only a virtual one. His neighbors are all elderly, often in a state of delirium. I don’t know what else to think up in this situation. Every time we leave, we are terribly sad. Because he is bored. In recent times he’s had trouble with joints. We’ve been trying to get him to do more exercises, to train his hands. But it’s polyarthritis, and it seems progressing one. His hands are less and less responsive. 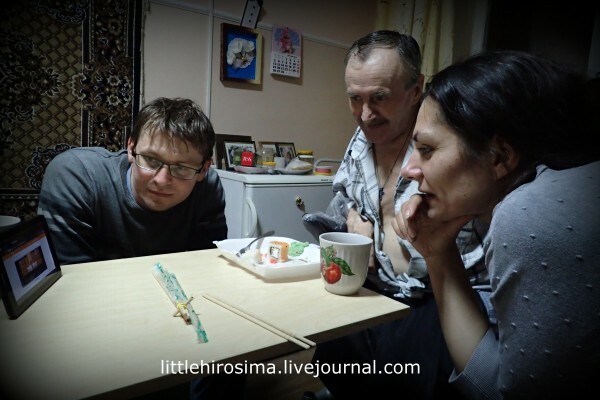 Seryozha sent separate greetings to Natasha, who bought him the electric chair, he races in it up and down corridors at top speed. 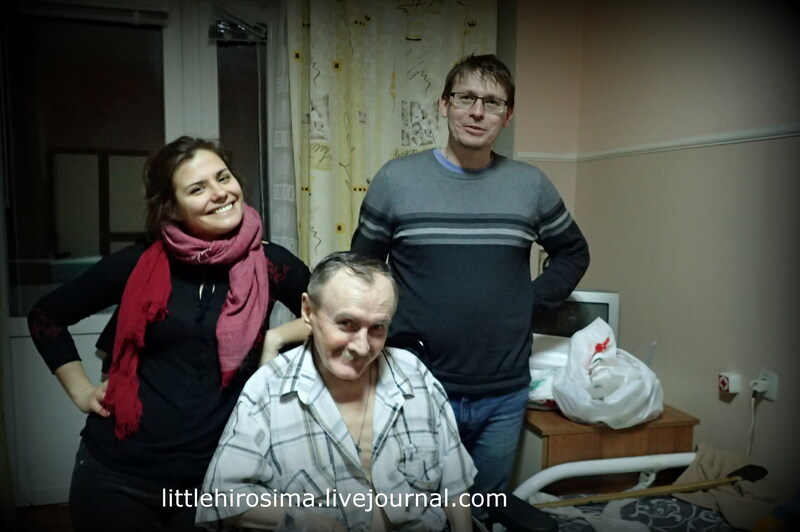 When we visited him in march, Lugansk was so snow-bound that we barely managed to leave in our car. Seryozha was not going outside, only sat in his room. Maybe that’s why that visit was so sad. But now it’s melted, so he’s certain to be racing down the trails. Summers there are lovely, the home is in a forest, there are rose beds right next to it. Now Seryozha has a super-chair, he can drive wherever he wants. We delivered it in the fall, after all, so he didn’t have an opportunity to try it outside. Last summer he couldn’t get back into the building without help because of the incline. His hands were not up to the task of rolling the chair. Big thanks to everyone who is concerned about Seryozha. To read other posts about Seryozha, click on the “Kutsenko” tag at the bottom of this article. 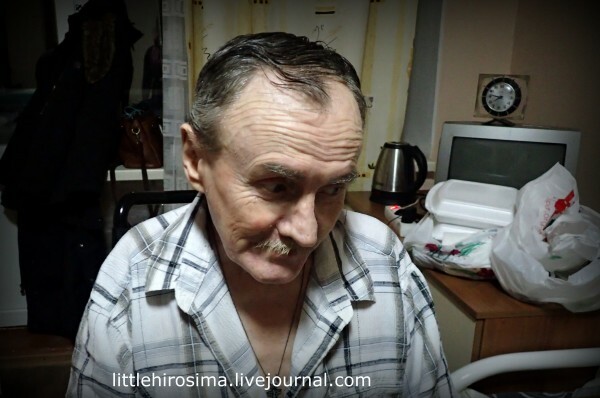 This entry was posted in in English and tagged donbass, Kutsenko, lugansk, people we helped, retirement home, war by Михаил Ясинский. Bookmark the permalink.